Cancer in dogs is a very real, and unfortunately all too common problem. In fact, nearly half of the deaths in dogs over the age of 10 are caused by cancer. It can cause just as much fear and anxiety to have your dog diagnosed with cancer as it does when a human family member is diagnosed. Cancer doesn't distinguish between species; it is just as unrelenting and just as destructive for both. In order to help your pet through this diagnosis, it is important to understand how the disease can affect dogs. Just like humans, dogs can develop a variety of cancers including cancer of the breast, bones, skin, mouth, lymph tissue and blood vessels. The different forms of cancer can cause a variety of symptoms, including sudden issues with going to the bathroom, bad breath, swelling or lumps, loss of appetite and weight loss, difficulty breathing and sores that won't heal on their own. By far the most common sign of cancer in dogs is what veterinarians call "Cachexia," which is continued weight loss and wasting away. 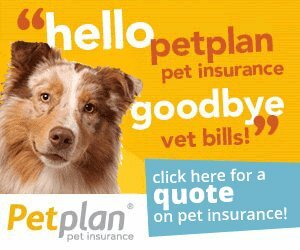 This can be particularly pronounced in younger dogs or breeds like the Australian Shepherd, which are known for being highly energetic. When your once active, bubbly dog suddenly begins to lose interest in normal routines and barely responds to you, it is likely that there is something seriously wrong. There is a lot of information online about dogs and cancer at sites like WebMD/Pets, however, if you suspect that your dog may be suffering from cancer, it is important that you get him to the vet as quickly as possible for a proper diagnosis. The sooner a diagnosis can be made and your vet can determine the exact type and stage of the cancer, the sooner a treatment protocol can begin. Treatment can vary depending on the type of cancer and the severity of the disease and can also vary from one individual dog to another. In most cases of cancer in dogs, the basic treatment protocol is much the same as it is for humans. Surgery, chemotherapy, radiation and immunotherapy are all used in some combination in order to isolate and remove the cancer and kill off any remaining cancer cells. Surgery can work to excise tumors either partially or, hopefully, entirely. Then chemotherapy and radiation work to kill off any remaining cancer cells and stop the spread of the disease. There are also several natural treatments that may be used to help the dog's body heal from the inside out. However, avoid homeopathic treatments as homeopathic remedies for dogs do not work. The most important natural treatment is changing the diet to ensure that your dog is getting all of the nutrients it needs to help fight off the cancer. Vitamins and other nutritional supplements can also be added to the regular diet to help support gut health, detoxify the body and fight off free-radical damage. Any way you look at it, cancer in dogs is just as frightening and disconcerting as it is in humans. None of us likes to see our four-legged friends suffering and it can be a horrifying diagnosis to receive. The important thing to remember is that it does not have to be a death sentence. There are ways that you can help your dog to fight back so that he can regain a good quality of life. Don't let the "C" word stop you and your dog—talk to your veterinarian or consult a veterinarian online to get quick answers to medical questions about your dog and figure out what you can do to get back on the road to good health. 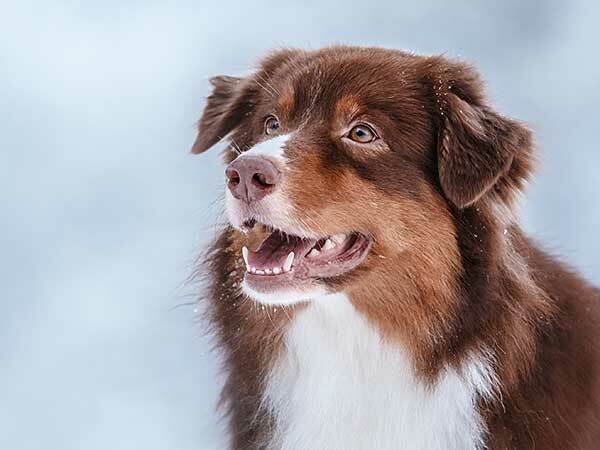 How Does Hemangiosarcoma In Dogs Affect Your Australian Shepherd?